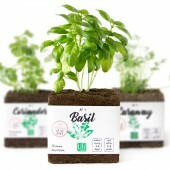 After the purchase consumer is required to remove the cover and water the seeds so they would start growing. Project is a result of 2 year (2015-2017) Master studies in Vilnius Academy of Arts. Most of the fallen leaves, collected in the city parks, are often burned thus losing energy. It is a great material full of minerals and easy to form. The leaves are washed and crushed with a mixer, producing fiber, which then can be put into mold, compressed and dried. The final result is a strong package full of minerals. 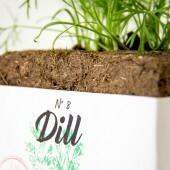 A graphic representation of herb is used on the labels combined with the hand written fonts to create a personalized feeling and to establish a connection with a consumer. Each package is a cube with dimensions of 100mm. 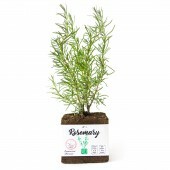 It is the recommended size for the herbs to grow. For the labels an ecological paper (Cyclus Offset) was chosen to minimize an impact to the environment. For the same purpose only two colors are used for the print (black and green). By analyzing an impact of social, economical and environmental changes to packaging (and vice versa) I managed to distinguish three main categories of future packaging: interactive, active and smart. Active packaging is the only one which is able to make an impact on how the product is consumed without asking for interaction from the consumer. An example would be a sustainable packaging. Therefore, this category was selected as a base for this creative project. The biggest issue that had to be solved was finding the correct process to turn fallen tree leaves into a packaging and then optimizing it. Copyrights belong to Edmundas Jankauskas, 2017. LIFI was first created and developed by packaging designer Edmundas Jankauskas during his Visual Communication Design master's degree studies (2016-2017) in Vilnius Academy of Arts (project supervisor assoc. prof. Robertas Jucaitis). The idea for the project came out of theoretical analysis of the impact of culture on visual and functional abilities of packaging. By analysing historical changes in the packaging design, one can see that both society and packaging are eligible in making impact on each other with the purpose of solving most difficult economical, environmental and social problems. One of the biggest problems of today's modern consumerist economies is high rate of food loss. We loose almost a third the food we produce and at the same time we have around 1 billion starving people. If we could eliminate food loss (in farms, production sites, shopping centers and homes), with the same amount of food we could end starvation for the first time in history of humanity. 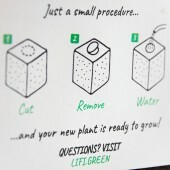 LIFI offers users option to grow their own vegetables and spices at home, thus partly eliminating the need to buy plastic-packaged food. 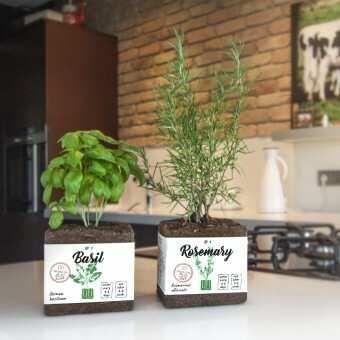 By using the packaging, made of 100% reneweable materials (fallen tree leafs) we sell numerous different herbs and spices that you can easily grow in your kitchen. We use active packaging, so when watered it starts to degrade internally and release minerals needed for the plant to grow. We hope that by giving people easy and practical solution to grow food, we also educate them and spread the word of efficiency and ecological way of living. Lifi Active Ecological Packaging by Edmundas Jankauskas is a Nominee in Sustainable Products, Projects and Green Design Category. · The profile and other works by Edmundas Jankauskas is also kept secret. This information will also be available later. Lifi Active Ecological Packaging by Edmundas Jankauskas is Winner in Sustainable Products, Projects and Green Design Category, 2017 - 2018. · Press Members: Login or Register to request an exclusive interview with Edmundas Jankauskas. · Click here to view the profile and other works by Edmundas Jankauskas. Did you like Edmundas Jankauskas' Sustainable Product Design? 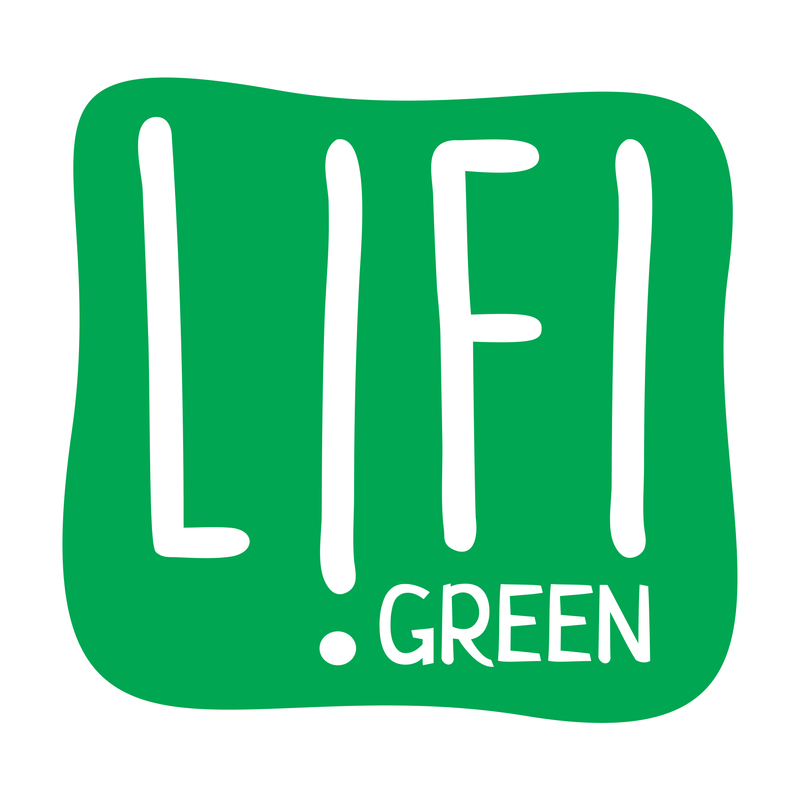 Did you like Lifi Active Ecological Packaging? Help us create a global awareness for good sustainable product design worldwide. Show your support for Edmundas Jankauskas, the creator of great sustainable product design by gifting them a nomination ticket so that we could promote more of their great sustainable product designs.